"Access to the Baltic Sea through Latvian ports has special meaning to us," Nazarbayev said. Nazarbayev also said that the two sides will sign a tourism agreement on Monday, which will form the foundations of mutually beneficial cooperation. Also, impetus will be given to the training of personnel in Latvian universities in industry and tourism. In particular, Kazakh youth will be trained at the aviation university in Riga. In addition, the agreement will be signed between the Ministries of Education and Science of the two countries. The Kazakh President also noted that the relations between the two countries are developing successfully. "Systematic development is present in Kazakh-Latvian relations. The framework of relations is expanding from day to day. To date, stable fruitful dialogue at established has been established between our countries at all levels," Nazarbayev said. In particular, he said, the turnover has increased by 50 percent over the past year. "Currently, the turnover amounts to $350 million. 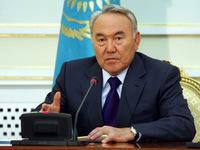 We intend to bring it up to $500 million in the nearest future", Nazarbayev said. The President of Latvia, in turn, noted that Latvia considers Kazakhstan the most important partner in Central Asia. "Over the past two decades, Kazakhstan has achieved very good results both in economy and in other spheres. 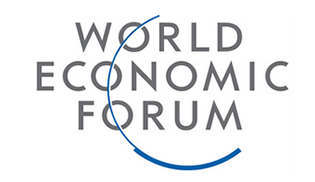 Kazakhstan was able to increase its influence not only in the region, but in the world. The evidence to the latter is election of Astana as a venue for EXPO-2017," Andris Berzins said. According to the Ministry of Economy and Budget Planning of the Republic of Kazakhstan, the trade turnover between Kazakhstan and Latvia reached $344.5 million by the end of 2012. Exports from Kazakhstan to Latvia amounted to $289.7 million in 2012. Imports from Latvia to Kazakhstan totaled $54.7 million. There 60 joint ventures with Latvia registered in Kazakhstan.